Operating in 21 states, Dignity Health serves a diverse patient population. For CEO Lloyd Dean, ensuring that the system evolves to meet community needs is essential. 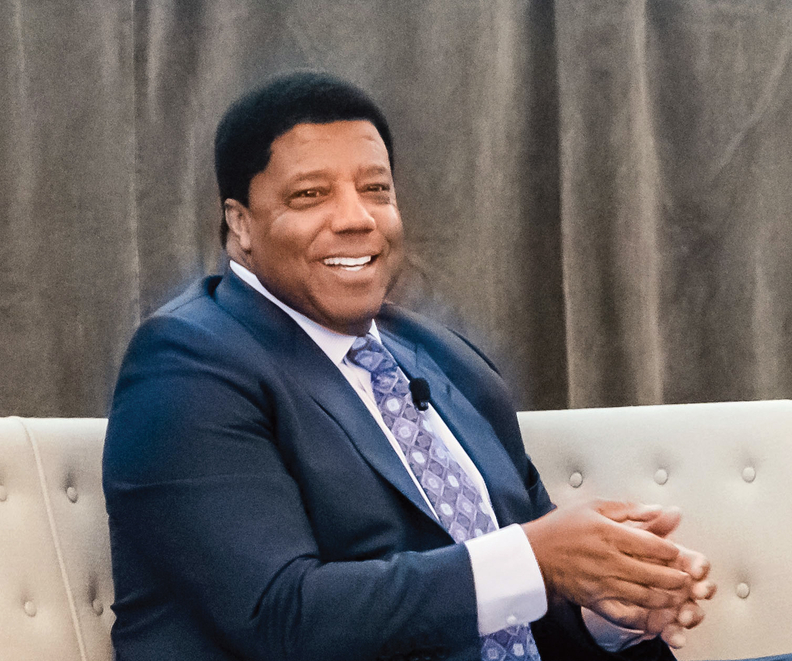 Since arriving at the San Francisco-based organization in 2000, Dean has not only led a financial turnaround, but, more recently, has spurred Dignity Health to embrace population health management strategies. And he's not too proud to borrow from his peers, saying he'll go anywhere to pick up a best practice that will help Dignity Health improve. Dean talked about the challenges of building a population health model and other strategic priorities with Modern Healthcare Managing Editor Matthew Weinstock. The following is an edited transcript. Modern Healthcare: You've made a push into value-based purchasing and population health management. What's in it for Dignity Health? What's been the driving force? Lloyd Dean: At a high level, the concept of managing populations—making sure there are models that will ensure comprehensive care for communities and engaging the other members of the community to ultimately add value for the patients, which then leads to a healthier community, which reduces costs—is something that we have to be about. MH: What kind of results have you seen? Dean: It has taken a few bumps and curves given some of the (federal policies) that are being tampered with, but so far, the indicators are very positive. And what we are seeing is that while we are still—whether people want to admit it or not—engaged in a fee-for-service world, this concept of value-based care is creating access points, making sure that we are delivering comprehensive care through the least expensive models. (That has led Dignity Health) to partnering. So when we talked about partnerships with Kindred Healthcare, when we talk about partnerships with UCSF Medical Center in San Francisco, the ultimate winner has to be the patient and the community. MH: What does winning look like? Dean: We have metrics that are quantitative in terms of the number of people engaged—those kinds of things; we can measure the cost side of things. Also, when we look at our models and we look at how many people we are treating, and we do a pre- and post-analysis, it becomes very clear. The other thing that we do is a lot of surveying and communication with constituency: "Tell me what you are feeling, what do you see differently, how good is the way we are delivering care, how many people are we being able to prevent from inappropriately presenting at our EDs?" MH: What are the barriers for an organization like Dignity Health to move into value-based care or population health? Dean: It depends upon what you mean by "move in," because we are in it. But in terms of are we at the cliff, where that's the only methodology that we have and reimbursement and other changes that need to be in place to move us totally out of a fee-for-service environment into strictly a value-based environment, we don't think we have matured from that perspective. In certain markets, our penetration is much higher than other markets. So, in the global sense, the barriers are reimbursement. Some of that is driven by where our concentration of services are delivered. Other than the public health system in California, we are the largest provider of Medi-Cal. So when we talk about instituting some of these models, we have to make sure that they align with the needs of the community and, that together with other members of the community, we can put together a model that works and that is sustainable. MH: Will we ever get rid of fee-for-service? Is there a need to? Dean: I happen to believe that there will always be an element of fee-for-service, unless nationally, we move to a universal health system that has a very well-defined payment structure that is different than fee-for-service. There is always this discussion about single-payer and there are certainly pluses and minuses to that, but our position on universal healthcare … I think we could get there, but I don't see it in the foreseeable future, because I think that the policy debates right now are so volatile and so unstable that I don't think there is a bipartisan or a collective agreement that (says) this is the (right) model and therefore we will move away from fee-for-service. I don't see it in the near future, but I think it will continue to be on the agenda. MH: Is there anything that you can do as a leader to quell those fears? Dean: Right now, we are staying the course, but we are out there advocating for some bipartisan solution. That's why we have something called "Horizon 2020" which is a systemwide effort to be more innovative, creative, and to drive down costs, but not compromise medical outcomes. That's why we are partnering, like I was talking about, with others in the communities. We are doing a lot of things, and we are not sitting still waiting for the ultimate solution, because every day there is need. MH: Part of that is learning from your peers, who are your competitors, right? How are you approaching that dynamic? Dean: We have a partnership and relationship with Intermountain (Healthcare) because they have some best practices. We have partners and relationships with Kaiser (Permanente); I mentioned UCSF. We are partnering with Google. We are partnering with Kindred. I will go anywhere there is a best practice and try to learn from others. And I think you are seeing across the nation, people and providers and hospitals coming together to share best practices because of the need for us to address populations now. Some of the things that the Affordable Care Act did like bundled-payments—those kinds of things—drove us to have to work together. We are seeking out best practices and we are not ashamed to say, "Wow, that's really good." It can't be that we think we can do everything.